This is a place to play and sit around an open fire listening to Norwegian fairy tales. Kindergarten kids in Norway stay outdoors all the time and only go indoors in the winter if the temperature falls below -10C (14F). This story room is at Skjermveien Barnehage (kindergarten) in Trondheim, Norway. 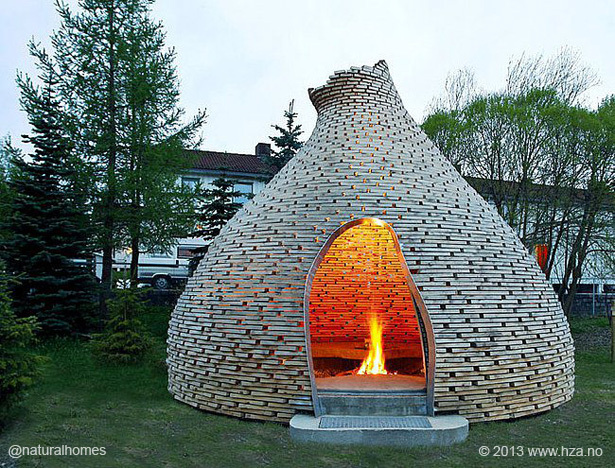 It was built on a small budget using leftover materials from a nearby construction site. 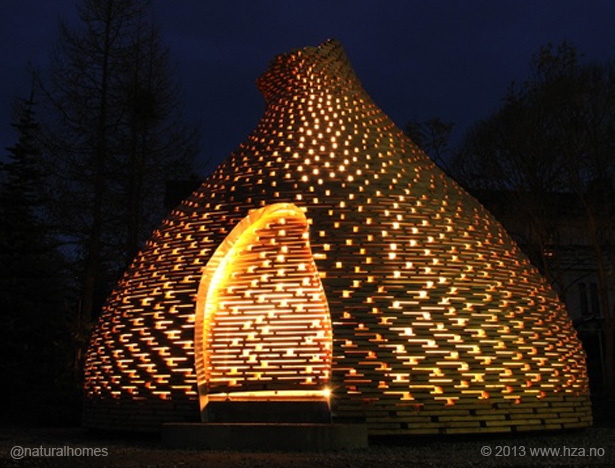 It was inspired by Norwegian turf huts. The story room is 80 circles each made from 24 pieces of pine separated by oak sticks. You can see more pictures on the architect's website at www.hza.no. 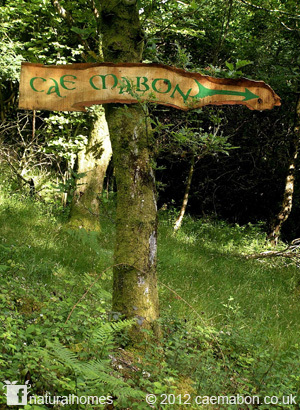 If you happened to be taking a walk around a little place in Wales called Fachwen, you may come across a sign pointing to a place called Cae Mabon that nestles in an oak forest clearing by a little river that cascades down to the nearby lake. If your curiosity is strong enough to take you there, then half a mile down a woodland track you will discover a magical place with storytelling rooms, tree spirits and Celtic traditions woven into the hills. Cae Mabon takes its name from the Welsh word ‘Cae’, which literally means ‘field’. Mabon, is an ancient character from one of the Mabinogion stories meaning ‘the Great Son of the Great Mother’ which can be translated as ‘the Divine Youth’. So ‘Cae Mabon’ can mean the ‘Field of Divine Youth’. 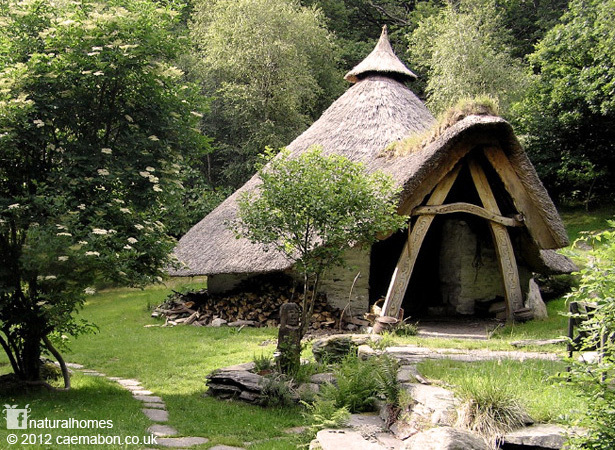 This beautiful stone walled thatched roundhouse is the storytelling room and centrepiece at Cae Mabon which was created over the last twenty or so years by storyteller, songwriter and author of children’s picture books, Eric Madern. 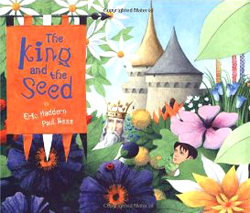 Here is one of his books. With the help of countless volunteers and natural builders from around the world, Eric has created a rare collection of beautiful natural homes. Among the natural builders who helped create Cae Mabon were Tony Wrench and Ianto Evans. 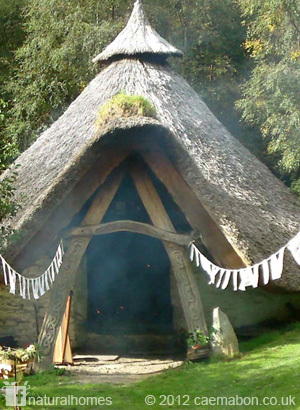 In keeping with Celtic style the roundhouse is decorated at its entrance by Celtic knotwork. If you would like to try your hand at designing knotwork this video, on the maths of knots, will give you hours of doodling fun.